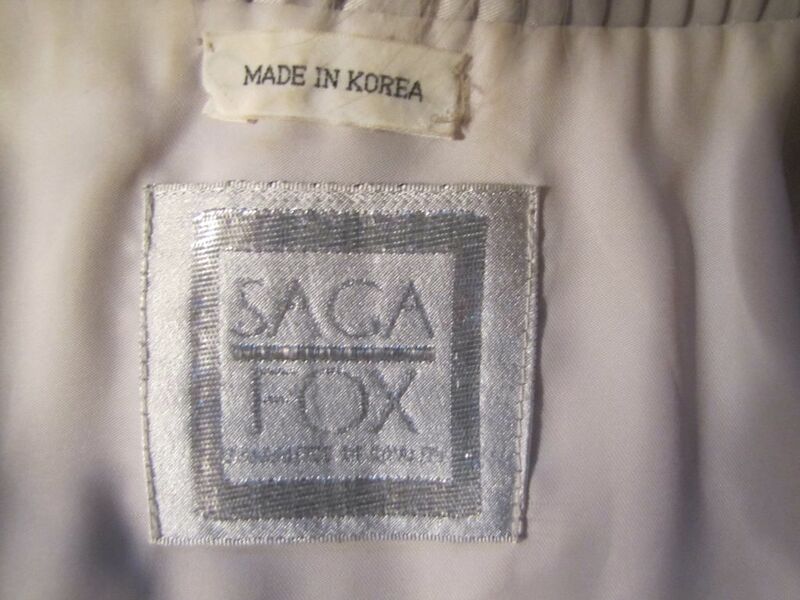 Beautiful Saga Fox PD Furs white jacket. 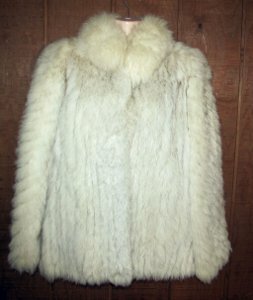 This gorgeous coat is in gently used condition and appears almost new. Both the exterior and interior are in good condition with only some small stains on the inside. This coat would really look good with a belt also. It is a size medium, has 3 eye hook closures and an inside pocket. 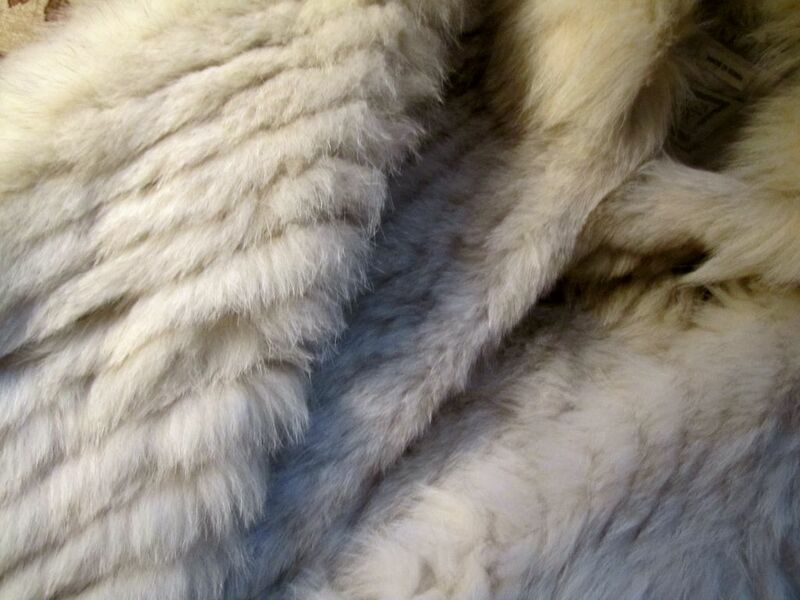 It is very soft and supple with no shedding, no tears or wear. 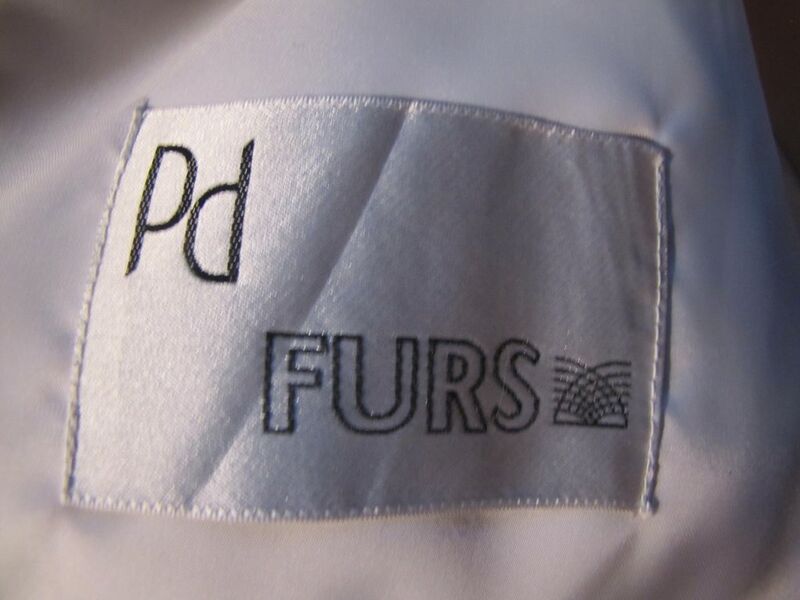 There are two labels sewn into the inside (see photos). Original cost was over $500.00. 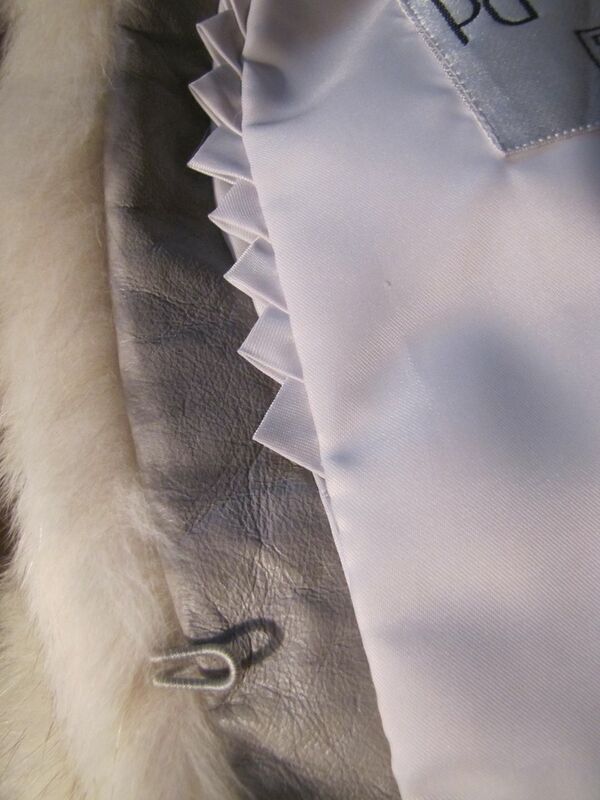 The measurements are as follows: Overall Length (Bottom of collar to bottom of Coat): 28" Sweep at Bottom: 46" Shoulder to Shoulder: 17" Sleeves: (shoulder to end of sleeve): 23" Bust (armpit to armpit OUTSIDE, doubled): 39" Waist (side to side, OUTSIDE, doubled): 39" Hips (side to side, OUTSIDE, doubled): 40"